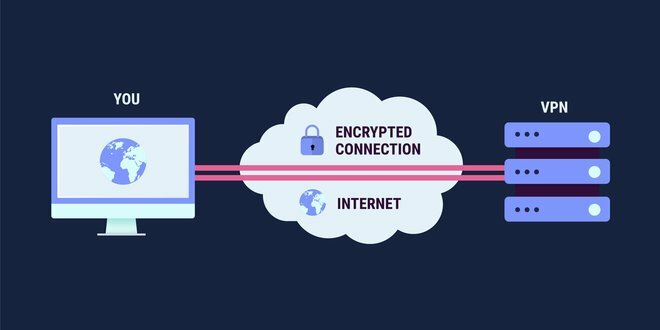 The term "VPN" frequently shows up on the Internet. This technology is old hat for some and a mystery to others. 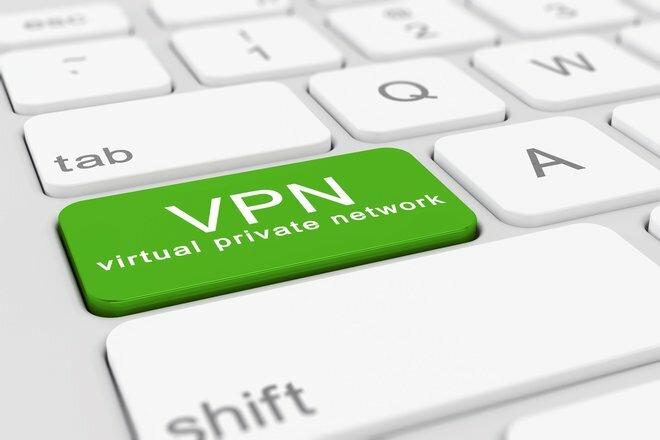 Read on to learn what VPN means and what it looks like in practice. Even back in the Middle Ages, people knew that, to get from A to B unseen, a tunnel was a good choice. The idea behind VPN (virtual private network) is quite similar: create a tunnel, i.e. an encrypted connection between two PCs. 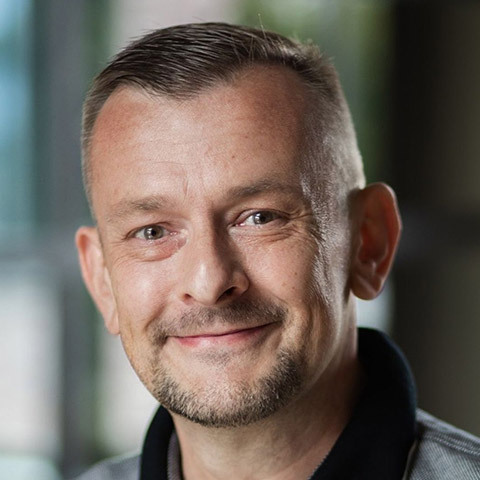 Whether you're working from home and connecting to an office machine or to a server that is acting as a gateway to the Internet makes no difference. I will focus on the latter case: accessing the Internet through a VPN service provider. This requires dedicated software on both machines. Your advantage: the connection is bugproof and the Internet doesn't see your machine but the VPN server only. Not only does this offer great protection against hackers but also nosy governments and data collectors that would otherwise gather every bit of information they can about you. Any attempt to trace the connection back to you ends at the VPN server. You're invisible to the web even when you're on a public WLAN in a café or hotel and, since the VPN software adds an additional encryption layer, public WLAN providers won't be able to see any of your data. Good providers offer Onion routing (see my article on the TOR network) on top of the regular encrypted connection and send traffic back and forth between multiple encrypted servers for maximum anonymity - but without the notoriously slow speeds TOR is known for. The location of the service provider also plays a role since some countries like the US require providers to hand out all connection data if requested by law enforcement while others generally prohibit connection logging to protect the privacy of their citizens. So it's worth taking a closer look at the provider's location and the associated privacy policies. Some providers even offer a kill switch and will immediately terminate the Internet connection should the VPN service fail instead of letting users continue browsing without protection unknowingly. It all comes down to the price-performance-ratio. While Internet quotas used to be common place, most providers now also offer flatrate plans. If you're interested, check out the many online reviews for details. To describe the procedure in depth, I will test a VPN provider for you including registration, software installation and general use. Nord VPN has become something of a shooting star recently and the company is undertaking huge financial investments to gain a firm foothold in the market making it the perfect test candidate for me. As always, I do not get paid neither in cash nor free VPN access for my review - I prefer to stay neutral. The first thing I did was to visit the Nord VPN website and register a new account which only took me a minute. I then selected a monthly subscription for $11.95 which is not particularly cheap. There are other subscription models available which bring down the cost significantly depending on their duration. It's refreshing how little information Nord VPN required during the registration. An email address, a password and a payment method (direct debit, PayPal or anonymously through cryptocurrencies) was all it took. Once I purchased my monthly license, I received an email with further instructions. A dedicated software is required on each device (PC, cellphone, tablet) to establish the VPN connection. Nord VPN's license supports up to 6 devices with unlimited data plans. The Windows version installed quickly and provided me with a minimalistic login window with email address and password fields. Once entered, I was presented with a world map that displayed all Nord VPN server locations - and there were a lot. Costa Rica, Russia, United States, Argentina or England are just a few of the supported locations with a total of over 4000 servers in 62 countries. Though you are free to select an individual list of locations acceptable to you, by default, the program selects the one with the lowest network load for speed reasons. General settings include the usual suspects like "Launch with Windows" or "Connect automatically". Users can further adjust their machines' visibility in their local networks and the level of notifications - no special computer knowledge required here. The "CyberSec" feature piqued my curiosity and I had to give it a go. Apparently, it's an all-in-one ad-blocker and anti-malware solution that, alas, lacks more in-depth details. I want to know more about a product before I start using it! Since many sites seemed allergic to CyberSec anyway (they were either glitchy or didn't display at all), I disabled the feature and relied on my own security software instead. I connected to a US server to run a speed benchmark. I had determined my home Internet connection speed to be 48 Mbit beforehand - and, initially, that didn't change at all with the VPN connection. Only my ping (response time) was fairly slower which won't affect normal web browsing but could be a no-go for online gamers especially with action games. Later on, I noticed occasional lags (the server in Azerbaijan is obviously a C64) but there were always faster alternatives I could switch to. I had a few disconnects but restarting the program took care of that. In conclusion, my experience was somewhat smooth but not perfect. I also watched a few online videos usually inaccessible with a German IP address and they worked flawlessly. Finally, I visited a few websites that specialize in obtaining as much information about their visitors as possible to point out security issues. All they reported was my (then) Indian IP and not much else, just as I had hoped. Shortly thereafter, I received an email from Microsoft with the subject "Unusual login activity". Microsoft obviously detected that I logged in from another country and wanted to make sure it was me and not some hacker. Google also checked my identity the next time I logged into their services which is somewhat reassuring. Hacker's from other countries would have a hard time posing as me with these security checks in place. Browsing the web also felt less restricted under the cover of anonymity. I have absolutely no plans to do anything illegal online (I'm too old for that) but I like the thought of moving freely through the web without having to worry about my activities being tracked and logged - as long as I don't log into a particular user account! Nord VPN doesn't log my past website visits because they simply don't care. And since the company is located in Panama, strict rules as present in so many countries nowadays probably don't apply to them. VPN has certainly grown on me! The knowledge alone that my surfing habits are no longer being tracked, logged and analyzed is a genuine comfort. So far (this is day number seven of my test), I haven't broken any laws and I don't plan to. Being able to move through the web with a new IP, watch content from various countries unfettered and stop worrying about hacking is sheer bliss. I'll likely keep using VPN, if not necessarily from the same provider. Star ZenMate, CyberGhost, Express VPN and Avira are next on my list, provided VPNs remain legal, of course. If you believe the online rumors, efforts are under way in many countries to (mostly) put an end to or even outlaw anonymous Internet use - someone seems to be scared of online anonymity! What I would like to know: do you use VPN and, if so, how satisfied are you with the results? Please understand that it may take a little longer for comments to be approved over the weekend. We have a public holiday coming up and I will most likely be entirely offline for once.